Have a fun and safe night!! 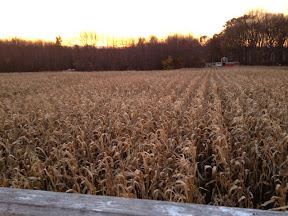 This corn maze is out in Dorr for you locals. We love this place and have been going there the last few years. 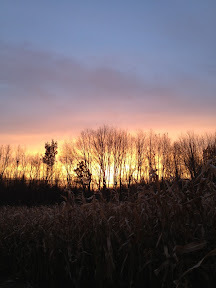 It was cold yesterday but the sunset was beautiful. The maze was a lot easier than previous years. 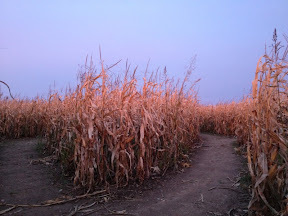 One year I (along with some unnamed others) got lost in the maze for over an hour. Everyone was already done and had been waiting for us to finish for some time. It was a tad embarrassing. This year went very quickly. 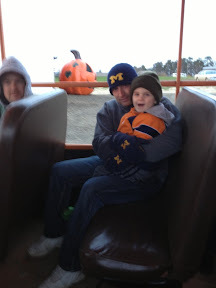 They take us out to the maze in this tractor pulled wagon. 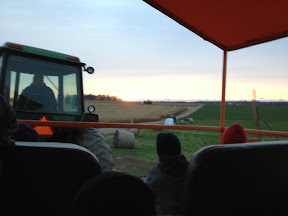 Here is a view of the farm from the maze. Here is a view of the maze we are about to enter. 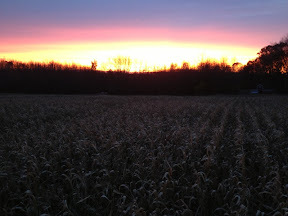 The cornstalks looked all lit up and golden. 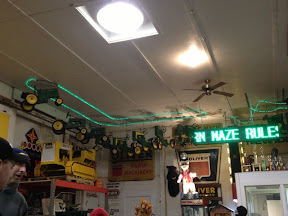 Following the maze you get cider and freshly fried doughnuts. It was delicious. Their building is more and more decorated every year. It was very busy for a Monday night. But I guess it is really close to Halloween. I've been told they have a very scary haunted Forrest. We will have to try that some time down the road. You guys should check it out next year! They close November 1st. We go every year. This is another of our traditions. But this year there was some big football game the same night here in town. 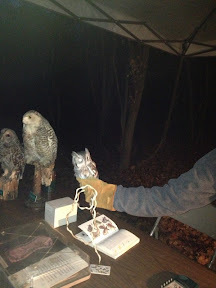 So my oldest and my hubby didn't go. We had fun but it got COLD. 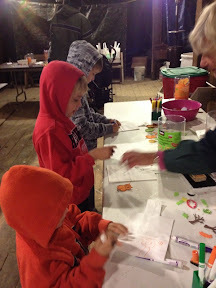 It's a nice little nature walk where you do crafts, get candy, see animals, and learn nature facts. 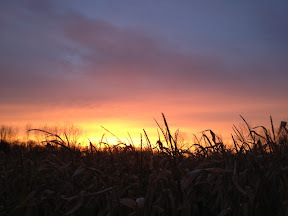 It starts early but we never can seem to get it together early enough to get there before it's getting dark.....and COLD! At the end you get cider and a cookie. We love it. 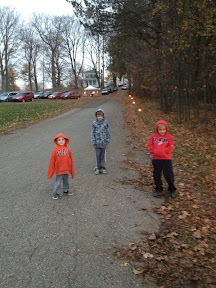 Our favorite part is looking for the different animals and glowing eyes with a flashlight along the trail! I have been hearing and reading a lot about apple cider vinegar and its benefits lately. I found this on Pinterest the other day. I have been trying to drink a couple of teaspoons every morning. It started when I got a really bad cold. I'm pretty sure I had strep throat. Within a couple of days my cold was so much better and my throat didn't hurt anymore. I've even made my kids drink it when they are sick. It's not easy. It burns your throat and your stomach. My kids gag on it. Apple cider vinegar is very alkalizing and helps to get more oxygen into the blood. It has a number of benefits. But all that is worthless if you can't drink the stuff, right? Wrong. 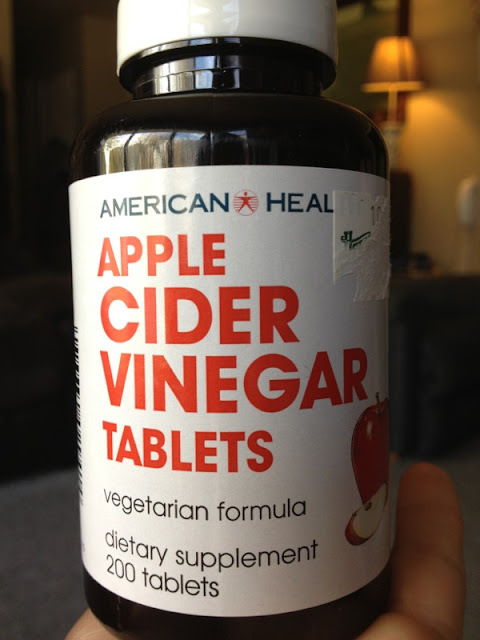 I heard about apple cider vinegar pills a little while ago. I went on the hunt for them and found them at a health food store. But I recently saw even Meijer has them. 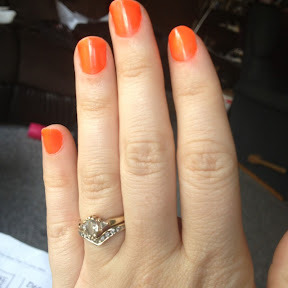 Since taking them I have noticed my skin is more clear, I am more regular and I don't retain so much water. Just a heads up for those that have been wanting to try it but knew they couldn't stomach drinking it. 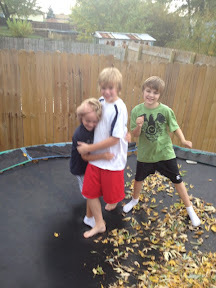 What is better than jumping on the trampoline? 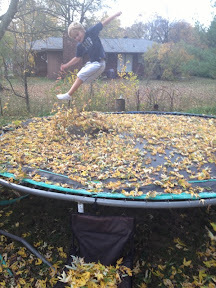 Jumping on the trampoline with a pile of leaves on it. We had so much fun yesterday. 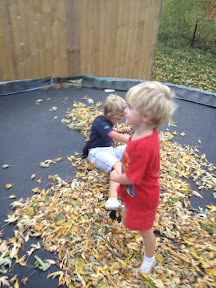 Noah even did a leaf angel. 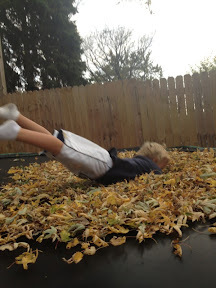 And he was doing face dives into the leaves. He ended up with some leaves in his teeth. I kept telling him to keep his mouth shut! Then all the boys came out to play. They just couldn't resist the warm Fall day. 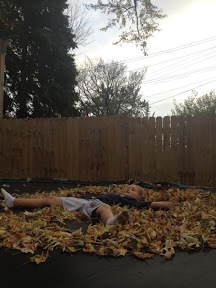 I love falling leaves and I love Fall. 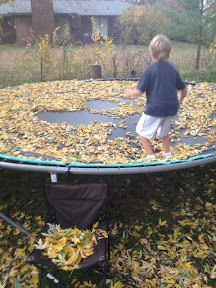 But I was finding leaves all over my person for hours afterwards! Everything is five dollars or less. Do you have one by you? Find one. Check it out. Lots of fun stuff. I found my Halloween costume there. Here is a sneak peek. And that is only part of it! 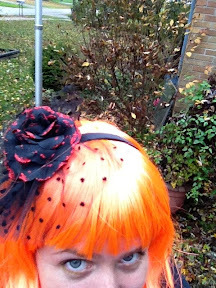 I also found five dollar costumes for two boys and a five dollar wig for part of another boy's costume. I love dressing up. Does there ever come a point when you should stop dressing up? In my opinion there isn't. I've always loved it and I always will. JJ is covered for a Halloween costume. 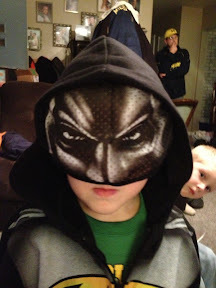 He got a Batman jacket for his birthday and that is what he plans to wear for trick or treating. Pretty cool, right? It has a mask built into the jacket. He won't stop wearing it he loves it so much! Next door to the Five Below store was World Market. I could do some serious damage in that store if it was cheaper or if I had more money! I found so much I loved! Especially the furniture. 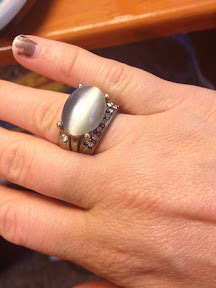 But all I picked up was this set of rings. 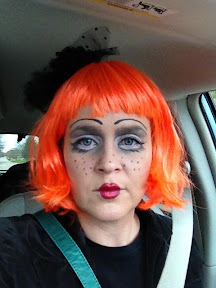 Anyone else out there weird like me and still dressing up for Halloween? 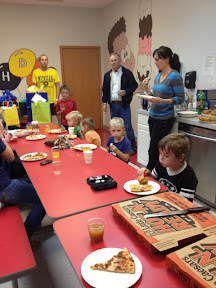 We had our fall birthday party for two of our boys at Crazy Bounce this past weekend. It was a ton of fun. 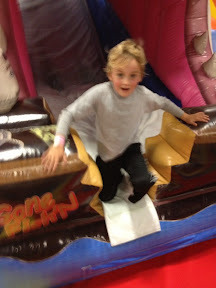 It was a treat for my sister and her kids who have never been to something like Crazy Bounce before. The kids got all sweaty and had a blast. Then we had a private room for a half hour where we ate and opened presents. We just got pizza and had a few simple items to go with it- apples and dip(cream cheese, brown sugar, vanilla) and then bread and white pizza dip(recipe on Lipton's garlic & herb soup mix package). Plus I made pumpkin muffins by just adding yellow cake mix with a can of pumpkin. I also added some chocolate chips. Delicious! It was a good time but I like parties at home best. Next party will be in our new house! I have a tradition every fall. Actually, I have a few traditions for the fall. But this one started my first year of college at Cornerstone in Grand Rapids. It is a lovely little apple orchard called Robinettes. I have gone every year since. I think I fell in love because it was a little reminiscent of home. In college I went with my girlfriends. Since then I have gone with my in-laws, my kids, my friends, and I think even by myself once. 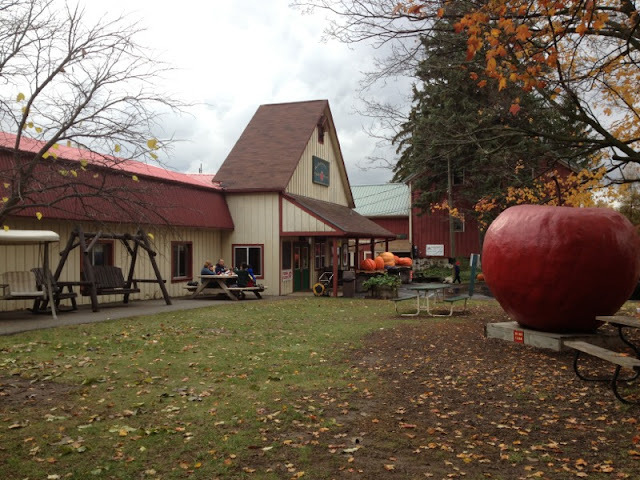 They have a charming little store that sells all sorts of things: apples, cider, fudge, and other various food type items. Next to that is a cute little bakery where you can get a whole lunch or just a snack. Their donuts are to die for, but so is their cookies, pies and other desserts. 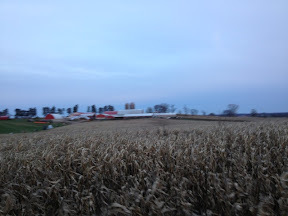 Since I have been going they have added a corn maze across the street and a bouncy thing for kids called 'the pillow'. They have gigantic and not so gigantic pumpkins you can buy. And there is some photo op items out in the front of the store. They also have a gift shop and a winery. Lots of cute stuff! If you are into it, they have wine tasting right in the winery. And no post is complete with some fashion. 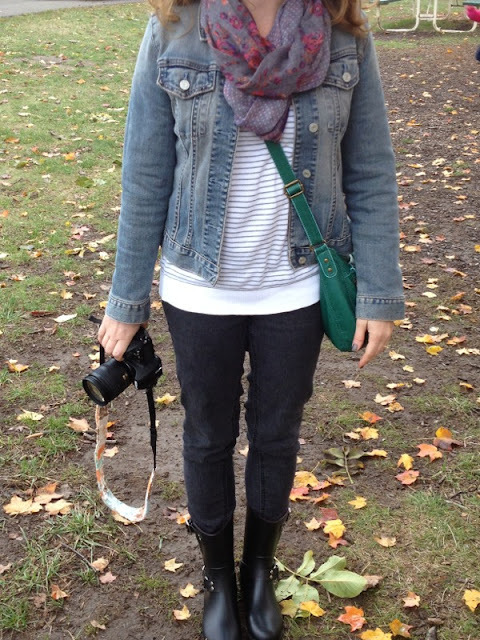 Here was my Outfit Of The Day while at Robinettes. Halloween is less than two weeks away and I still have no idea what my boys will wear. I would love to just find stuff around the house to dress them up. I used to do this in class in high school to get a laugh. Don't judge. Jayce may be the only one who would walk around trick or treating with tape on his face. 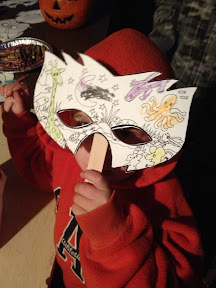 But he is pretty determined to be a superhero. All the boys have their hearts set on something but I don't want to go out and buy all new costumes for each of them. Do you have any suggestions? What can they be that they will like and I can make from home without too much cost? I need some help. 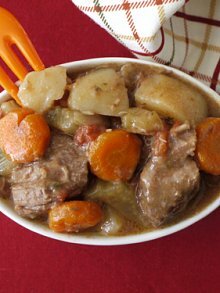 Yesterday I made this beef stew in the crock pot and the house smelled divine all day long. It's the season for it, don't you think? This past weekend we did our annual pumpkin carving. I love to do it. But I forget from year to year that it’s a lot of work. For the boys we use patterns from a book and I end up doing all the work. I start with a photo that I think will work. If you guessed Noah, you were right. I use Photoshop to get the picture ready. I cropped in closer to his face. Then I desaturated it. I adjusted the brightness and contrast a little. Then I posterized it. This is under <adjustments. You need to make sure the number is set to 3. This means there is only 3 colors in the picture- white, grey and black. The black will be left normal, the white will be cut all the way through, and the grey will have the top layer shaved off. Not every picture will work. You kind of have to try it and look to see if it will be a good candidate. It is a long and frustrating process, but worth it in the end. Ethan hasn’t carved his yet. He doesn’t really like the mess it creates so he isn’t into it as much as his brothers are. I may steal his to do another face. I was exhausted when we were all done. But they look awesome displayed in front of the house! Have you carved any pumpkins yet? Or do you not bother at all? It’s one of my favorite parts of fall! I get emails from Estatesales.net when there is an estate sale within 50 miles of Holland. Not all estate sales appeal to me. But I got an email for one in Spring Lake for this Friday and Saturday. It had some things that interested me. There is another sale here in Holland on Saturday only. It doesn’t look like it has as much stuff, but what they do have is good. Will you go to the sales? See something you like? I’m not desperate for anything. Plus I have a busy weekend. We always go to Robinettes every fall and will be attempting that on Friday. 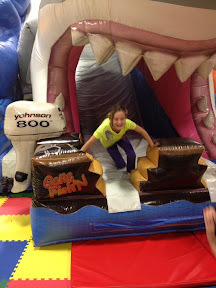 And Saturday is our birthday party at Crazy Bounce.